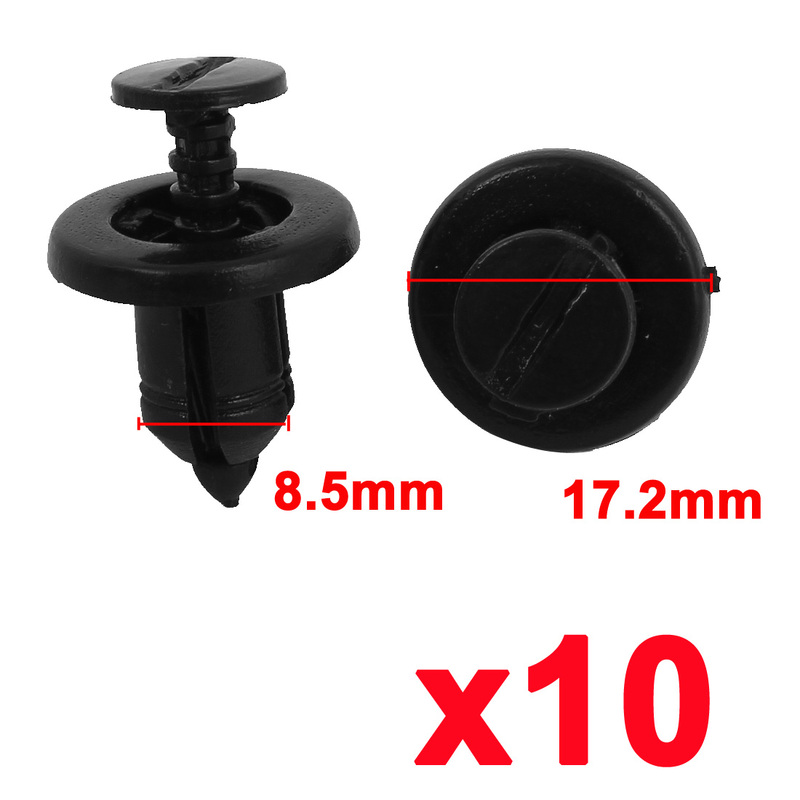 This listing is for 10 X Bumper fixing clips as used on SOME Renault models as listed BUT NOT ALL. To Fit MOST BUT NOT ALL : Clio mk1 mk2 mk3 - - Laguna mk2 - Espace mk4 - Megane mk1 mk2 - may also fit other models so Compare your old clip to the pic. THERE IS MORE THAN ONE TYPE OF CLIP USED SO MAKE SURE YOU ARE BUYING WHAT YOU NEED !!!!! If you dont have an old clip to compare to the pic then dont buy - as there are different types and you may not need this type. Perfect to replace your broken damaged clips. if you have not compared your old clips or not checked the part number with a dealer for your car or unsure in any way dont buy them. These clips are exactly the same as the genuine ones and very high quality - be aware of cheap copies as some cheap copies are either slightly too large or slightly too small than original and also use seconds in terms of material used to produce them - Buy buying from us you can be assured you are getting an exceptional product.